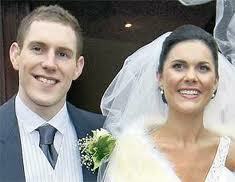 The tragic death of Michaela Harte, murdered on her honeymoon, has left people bereft in a way that I have seldom seen. All my conversations with people all over Ireland last week and Irish here in America this inevitably turned to the tragic young bride who was murdered after interrupting a robbery in her hotel room in Mauritius. There was even an overflow mass in The Bronx in New York for her, a remarkable example of how deeply the tragedy touched Irish everywhere. The sense of loss and futility, the what might have beens obviously come to the surface. The robbers entered her room literally just two minutes before she returned there to get some biscuits to bring back downstairs where her husband awaited her. Just three minutes earlier and she would have been fine. Why were the robbers, allegedly hotel employees, not able to make their excuses and leave the room? Above all why did they have to kill the beautiful young bride, knowing that they would surely be caught? Those are all questions that will never be answered. In the meantime the wedding photograph of this beautiful young woman and her handsome beau will continue to haunt us. She was beloved. As the daughter of the famous Tyrone football manager Mickey Harte, she was almost as well known as he father, accompanying him to every game. He had brought pride to Tyrone, a county that suffered greatly during The Troubles. In 2003 he led them to their first All Ireland final victory, a win that reverberated all over Ireland. He would repeat that success twice again. After that famous first victory he looked for Michaela first in the crowd, insisted she stood with him for the interviews. They were as close as that. The bond between them, and Tyrone people in general who had suffered so much was intense. That was why her senseless loss was felt even in America. If there was one bright moment it was the attendance at the wake and funeral of so many of the Unionist persuasion, including First minister Peter Robinson. Truly the sectarian wounds have begun to heal. "Mickey Harte did the most wonderful thing for me once. I asked if he would help a young man who was dying of cancer by letting him watch Tyrone train ahead of the 2003 All-Ireland Final. He did, and he ensured the team treated young David Gillespie as a superstar. But that is what decent people do. Mickey went the extra mile. He let it be known he did not want to read of David’s passing in the papers; he wanted a call. And I am afraid he got it the weekend after he took his Tyrone team to Croke Park. Mickey visited David’s mum and dad during the wake. Anne could not believe it when she saw Mickey Harte in his match day suit at their front door – so imagine how she felt when Mickey stood back to reveal the entire Sam Maguire winning team were also there, in their match day suits, to pay their respects to a boy they had met for only half an hour. It was an act of uncommon humanity in the midst of terrible grief for the Gillespies and unprecedented celebration for Tyrone GAA. It is hard to take on board that a man who did so much for a mother and father who suffered the loss of a child now has to experience even more sudden and unexpected loss himself."